In Spain, more than 2.5 million children are at risk of poverty and suffer from malnutrition. Quelle persone identificabili che ricevono un effetto potenziale dalle azioni portate avanti dal progetto. Since the beginning of the economic crisis in Spain, the number of children at risk of poverty or social exclusion has been increasing. Today more than 2.6 million children - that represents one in every three- are in this situation. Malnutrition is one of the direct consequences of this situation and it is estimated that more than 260,000 children can not afford to eat meat, fish or chicken twice a week. Children who grow up in this situation have more difficulties to develop their full capabilities and enjoy the same opportunities as others. In addition, children who can not afford to go to the school luchroom and go home at noon, often miss school in the afternoon, thus increasing school absenteeism. In this context, the school canteen becomes a space of protection to guarantee two basic rights of children: education and health. Deliver scholarships to cover the expenses of the school canteen for children of families with economic difficulties. Children at risk of exclusion will receive a daily meal in their school during one year. 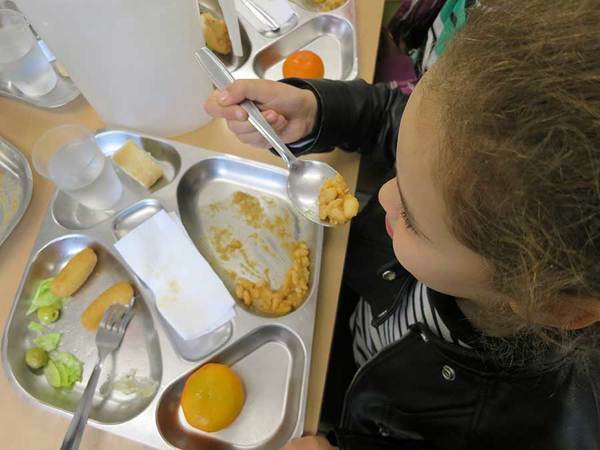 To ensure a full and healthy meal a day to children at risk of poverty and social exclusion.